You're in luck! 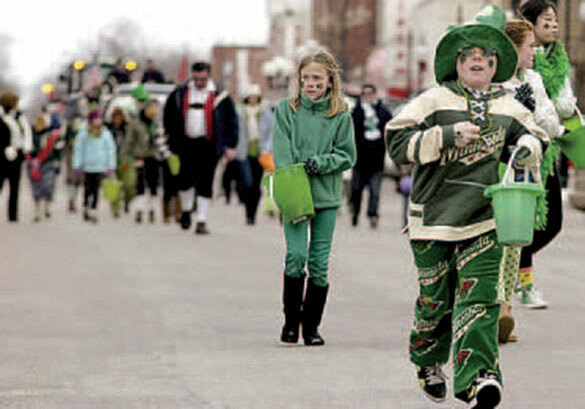 From a parade with bagpipers to Irish fare and folk music, New Ulm has everything you need for a fun St. Patrick's Day. Join the Irish Cultural Society of New Ulm to celebrate 54 years of blarney and shenanigans! Even though New Ulm has the highest percentage of German ancestry than any other city in the United States - on St. Patrick’s Day, everyone is Irish! Put on your green clothes, bring your lucky charms and meet us downtown on March 17 to march in the oldest consecutive running Irish parade in Minnesota! Afterwards, grab a wee bit of Irish fare and music at the Gathering of the Clans Banquet at Don’s Pub aka Veigel's Kaiserhoff. Take the low road or the high road, just find your way to join us! For more details, visit newulmblarney.com or Facebook.